IceBridge campaign with NASA's P-3 research aircraft based out of the sea ice runway in McMurdo. This is the first time a wheeled aircraft is flying science missions over Antarctica based out of McMurdo. It is my fifth trip to the white continent and my third season in McMurdo. 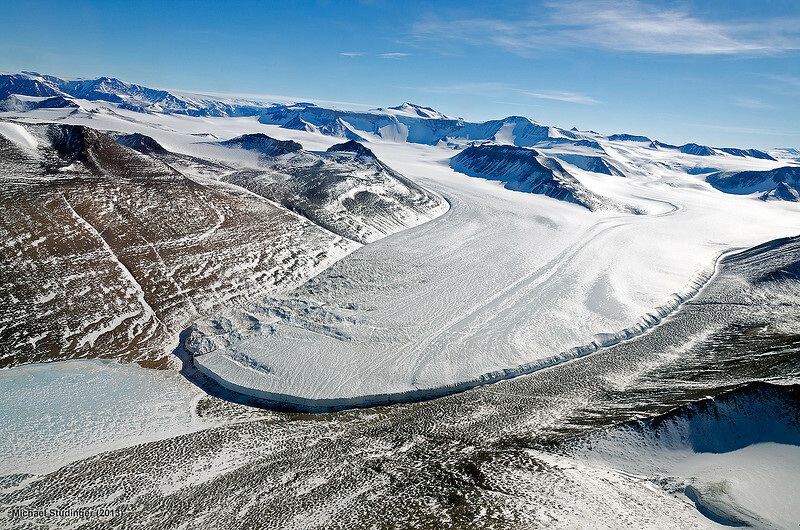 Victoria Valley and glacier in the Transantarctic Mountains.